Going on vacation has a lot of benefits. Not only do you get to escape your everyday routine, but so does your mind! Luckily, there’s no need to go to the ends of the Earth to enjoy a relaxing and exciting trip. We are here to show you that a weekend adventure can be just as fun! Getaways from Atlanta are easy to plan and a great experience you don’t want to miss. Read on to find out the logistics and start planning your trip today! Atlanta and Jackson are not too far apart from each other. With only 381 miles separating them, a few options are available to you. Atlanta to Jackson is an easy and common route to fly, and it’s the fastest way to get to your destination! Transfers included, it takes around two hours and 45 minutes. There are plenty of times to choose from everyday; Delta, for example, offers a flight every three hours. Prices vary between $180 – $550. The cheapest way to travel between Atlanta and Jackson is to drive! This will cost you between $35 – $55 and takes less than six hours. With this option, you also get to stop wherever you want and explore the South! Don’t hesitate to make a road trip out of your getaway from Atlanta. 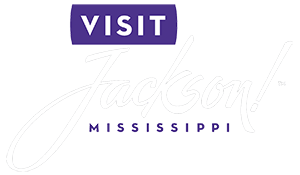 If you don’t want to drive all the way to Jackson, you can always take a bus! This is one of the cheapest alternatives, but also the longest; it takes around seven hours. Greyhound offers transportation between the two cities, with a direct line departing every 30 minutes from Atlanta. Prices vary between $40 – $70. Stay at Fairview Inn during your weekend getaway and experience authentic Southern charm! Our beautiful accommodations are ideal for you and your significant other, and you will fall under the Fairview Inn spell in no time. Discover a world where past and present mix in an elegant and luxurious setting. 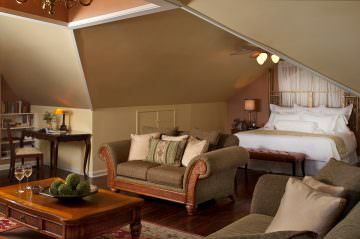 Book our Hayloft Suite! This spacious carriage house will make you feel at home with its exquisite details and charming atmosphere. Relax and unwind in the private whirlpool tub, nestle up with a good book in the sitting area, and get a good night’s sleep in the soft linens of the king bed. Wake up the next morning feeling refreshed and head over to the main inn for a delicious complimentary breakfast! Book your stay today at Fairview Inn! We are looking forward to hosting you.